What happens when you become aware of a newly-opened brewery? You go there and try it out of course!! We were no different. 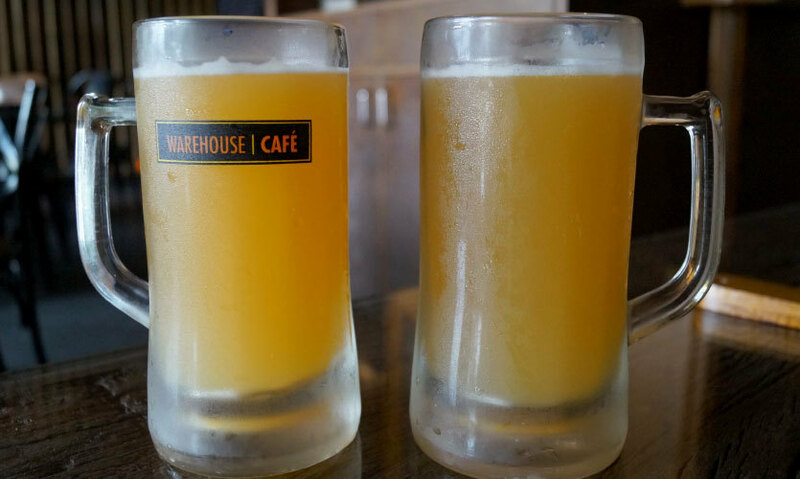 It became our moral duty to visit the newly opened brewery in the garb of Gurugram, Warehouse Café! 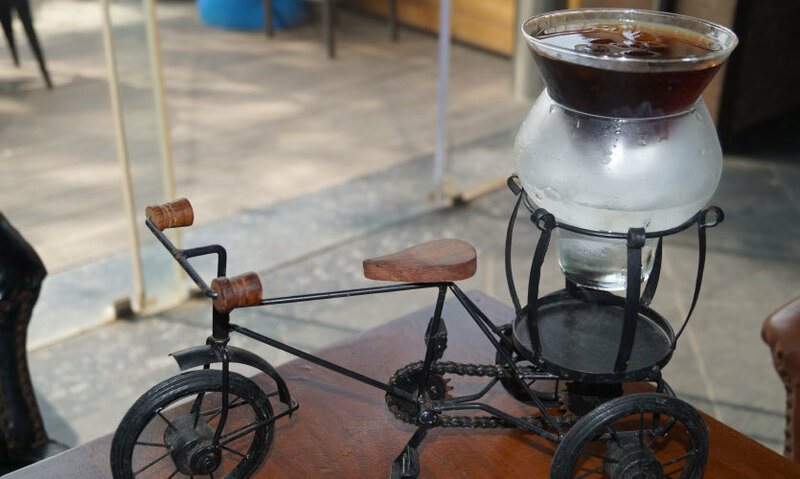 Warehouse’s outlet in CP boasts of having the largest carpet area and replicating the same, the one in Gurugram has also acquired a humongous area to entertain its guests with various delicacies. The place also possess seating arrangements in the basement, apart from the ground floor. As you enter, on the left there are staircases leading the way to the basement. In the middle they’ve got furniture laid out for smaller groups and on the right, they have cushions spread out for the larger groups. 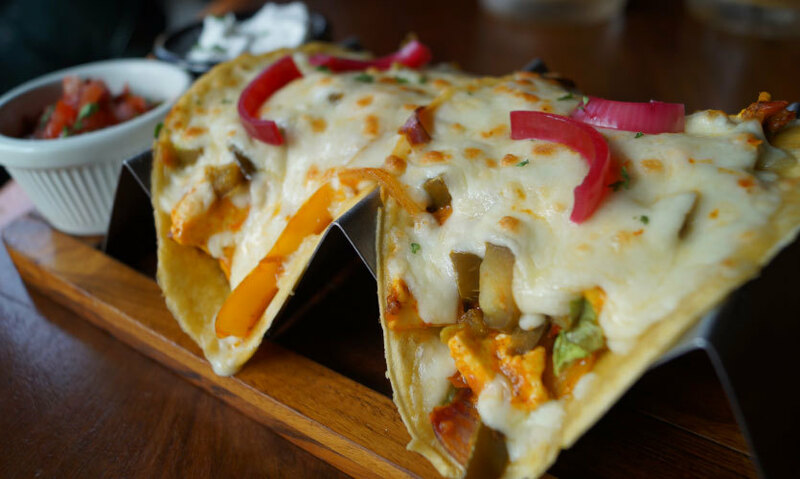 As the name suggests, the prodigious filling was the mixture of tandoor-cooked paneer cubes, mixed with chopped onions, tomatoes and capsicums, baked with great gobs of mozzarella cheese on top, garnished with coriander and served with a zesty salsa dip. The paneer was soft and squashy, aptly marinated and just a tad spicy. The flavour of the dish was derived from the spices possessed by the paneer chunks. The dish was a wholesome one and the peppery taste lingered on! Large chunks of succulent chicken are marinated well before being cooked in the tandoor. 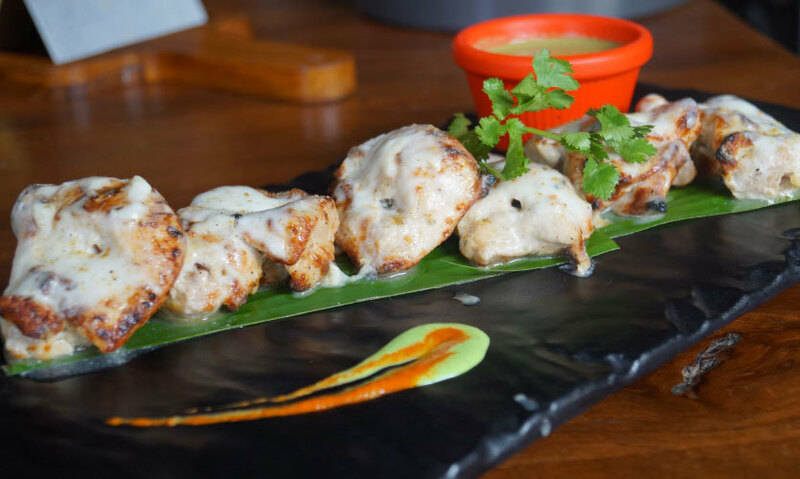 The cooked chicken is then tossed in a creamy white sauce which adds a certain texture and zing to the dish. The chicken pieces were tender, juicy and the chef was able to maintain the character of the chicken with ease. The stirring in white sauce was done pertinently, as we could relish the taste of the sauce blended with spices in every bite that we took. Nice! Two large pieces of sumptuous chicken breasts, spaghetti pasta and boiled veggies would best summarize the contents of this dish. The feature that gives an edge to this place while serving this dish is the use of ‘jus sauce’, a light gravy made from the juices given off by the meat as it is cooked. 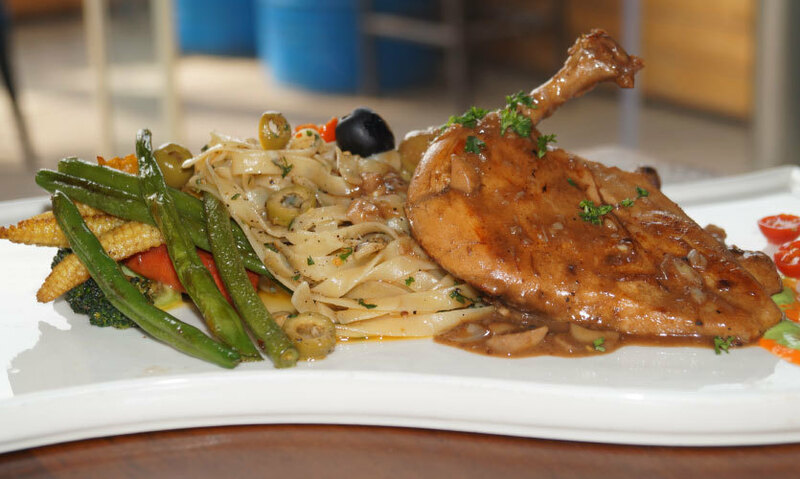 The chicken breast is cooked for a considerable time in the same sauce and is served with pasta and sautéed vegetables. The chicken was pulpy and luscious and the spaghetti was evenly boiled and had absorbed the spices decently. It was a wholesome dish leaving us completely satiated! 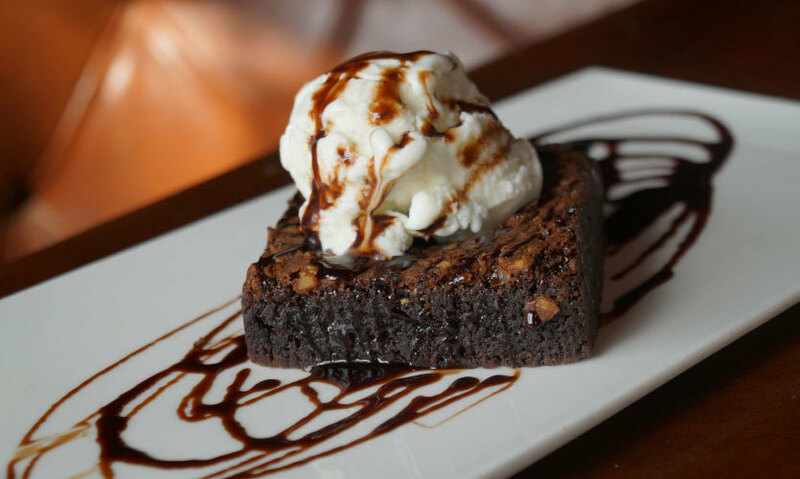 Hot, fudge-style brownie with a dark and moist texture topped by a dollop of vanilla ice cream and coated with chocolate sauce was exactly what this dessert was! The brownie was mildly sweet, which was compensated by the sugar content in the vanilla ice cream. One scoop of hot brownie and cold ice cream almost made us lose our senses! It’s a sin to be at a brewery and not have beer! They manufacture three variants, Premium, Wheat and a third which they call Batman Dark. Everybody has their own taste when it comes to beer, and we loved their Premium variant! The Wheat Beer was comparatively light and Batman Dark, on the contrary, was intense and stronger than its Premium alternative. The best part is, they make you taste all three before taking your order (best!). A simple yet appetizing drink, this one’s only for those who can handle their alcohol well. Dark rum, coffee liqueur and Coke ice when blended together results in this masterpiece! It’s basically the essence of the coffee liqueur that makes this drink stand apart from its league. Amidst all the akin genres of drinks, this item is an exception. The contents of this drink include the perfect level of rum, fruit ice, lime, mint air and vanilla fog. Instead of a rum base, one could also opt for a vodka base. 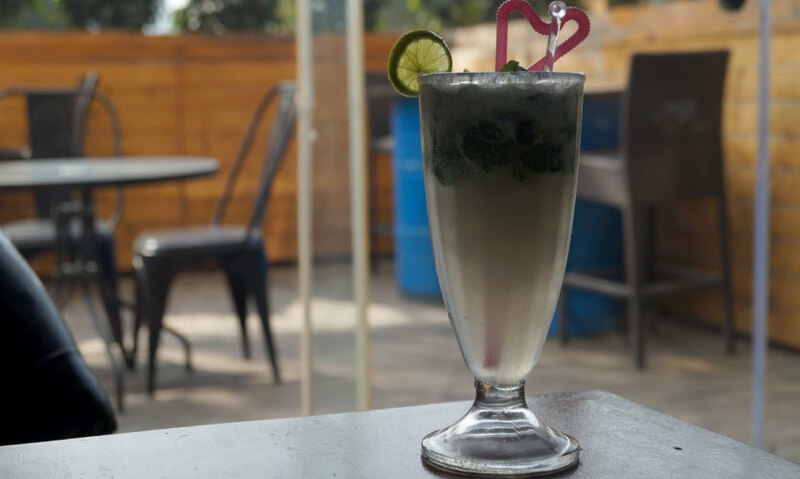 Due to the presence of lime and fruit ice, the spirit of the mojito is well-retained. The drink tastes sweet at first, which is followed by the sourness from lime when finally the tincture of alcohol kicks in! Our final verdict for this place goes in their favour! 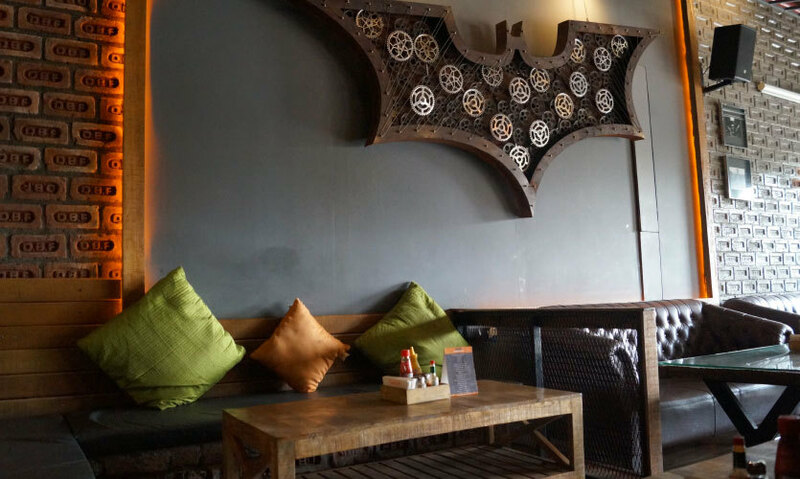 This café serves every purpose - be it a party with colleagues, hangout with friends, or a family dinner outing or even a date with your special one, this place accommodates all, and that too without burning a hole in your pocket! Decently-priced scrumptious food, astounding variety in the menu, a series of amazing mocktails and cocktails and oodles of fun and memories is what one can expect here. See you soon?